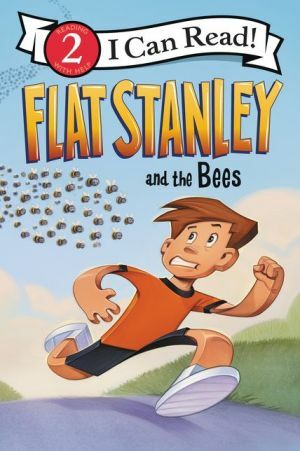 Being flat sure makes it fun for Flat Stanley when playing backyard games with his pals—but not when bees are chasing them! Join Stanley in his newest adventure. On a hot summer day, Flat Stanley and his friends have lots of fun games to play. Stanley’s flatness comes in handy, especially during hide-and-seek. But when the fun disrupts a beehive, can Stanley save his buddies before the bees get them? Beginning readers will love how Flat Stanley gets out of a sticky situation to save the day...with the help of his mom’s honey buns! Flat Stanley and the Bees is a Level Two I Can Read book, geared for kids who read on their own but still need a little help.